United Pilots have recently reported reaching an impasse on contract negotiations with United Airlines management. 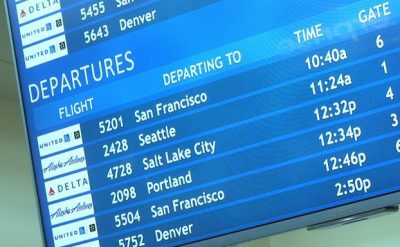 The disagreement is over the airline’s desire for the pilots union to agree to change the scope protection and allow more large regional jets to be outsourced. “We started negotiations early and we were making good progress, but scope is a hold up,” said union spokesman Greg Everhard. United chief financial officer Andrew Levy says that the airline needs the additional lift capacity to remain competitive against Delta Air Lines and American Airlines and to meet the companies capacity growth plans of 4-6% annually through 2020. 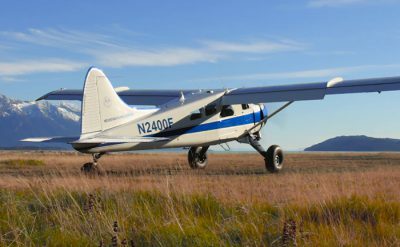 “If we’re trying to fly a 50-seat product into Rochester, Minnesota… and our competitors are flying a nice 76 [seat] two-class product, we’re going to lose that battle,” says Kirby. United Airlines has a goal to grow its mid-continent hubs (Chicago/Denver/Houston) to be more competitive. But doing so will require more regional feed into those hubs from outlying smaller communities. The maximum weight for an airplane being flown by pilots not at United Airlines is 86,000 lbs. There is a provision allowing United Airlines to add more large regional jets above the 255 limit if the airline adds a small narrow body airplane type to the mainline fleet. This could either be the Embraer E190/E195 or the Airbus A220. United Airline’s pilots recognize the need for the company to replace 50 seat regional jet flying with larger airplanes. Bring an additional small narrow body airplane into mainline United Airlines flying that would then allow the company to increase the limit of 70 and 76 airplanes from 255 to 325 airplanes. Move all 70 seat and larger airplanes into mainline United Airline operations. 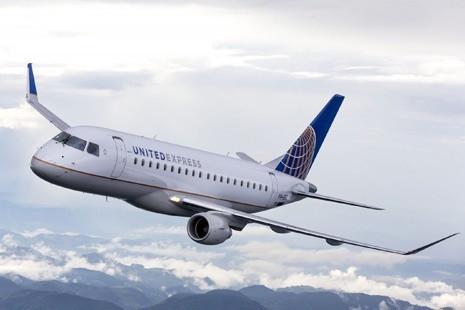 United Airlines already has the Embraer 175 operated by regional airline partners. The E175s are flown with a cap of 76 seats to comply with the scope limitations. But the E175 has the ability to seat more than this. If the airplanes are operated by mainline United Airlines there would be the option to increase seating capacity. Prior to 2005 50-seat regional jets entered service at an explosive pace with regional airlines across the United States. The Bombardier CRJ700 (70 seat) entered service in 2002 but it’s growth into regional airline fleets was initially stunted as most mainline scope clauses limited outsourced flying to airplanes with 50 seats or less. Many airline over-ordered 50 jets as placeholders for the larger regional jets they would have preferred. After 2006 airline bankruptcies and mergers caused significant changes in pilot scope protections. Several legacy airlines reorganized during this time under Chapter 11 bankruptcy and unilaterally changed scope protections through forced labor renegotiations. After the scope protections were removed the Bombardier CRJ700/CRJ900 and Embraer E170/175s proliferated across regional airlines and replaced mainline flying. Legacy and major airline pilots had a noticeable component of their work outsourced. It was in the atmosphere of rampant outsourcing where regional airlines aggressively competed with each other to win contracts for flying additional airplanes. The competition often centered on price. 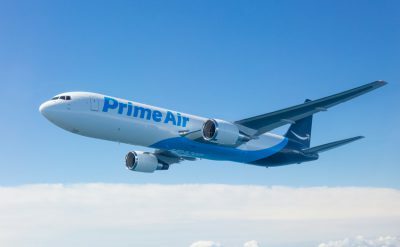 To remain competitive these airlines would keep their costs as low as possible, which meant significant downward pressure on pilot compensation. 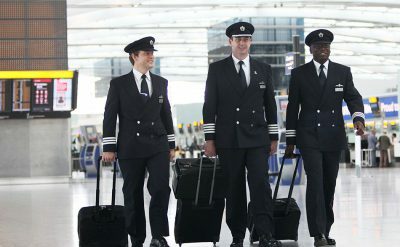 Frontline created an episode in 2010 called ‘Flying Cheap’ that addressed the challenges faced by pilots during this time. The episode is well worth the watch. You can watch it here. There were originally seven major airlines that influenced pilot scope protection agreements. By 2013 only three of these airlines remained. The surviving airlines were once again profitable and the pilots negotiated new contracts with the strong desire to regain lost work. It took pilot unions one contract negotiation cycle to effectively end scope-creep and reestablish scope protection norms. United Airlines is among the (now) industry standard of outsourced airplanes having 76 seats or fewer and weighing less than 86,000 lbs. 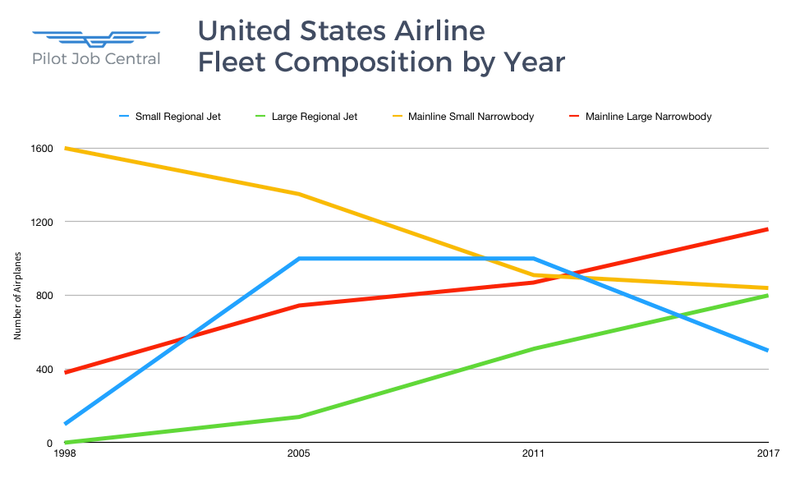 United Airline’s management can make a compelling argument as to why the airline needs more large regional airline flying in its route structure. The pilots do not deny the reasons for the argument. But many of the pilots lived through the period of the mass erosion of scope protections. If the pilots were at United Mainline during this time they may have been furloughed or seen friends furloughed. Or at the very least their quality of life decreased significantly as their seniority eroded. If the pilots were working in the regional airline ranks during this time they knew the pain of investing significant time and money into their career only to then make equivalent money to a fast food worker. And with no light at the end of the tunnel for better employment opportunities. What many see as pilots being stubborn and unyielding to ‘progress’ is the pilots learning from the past lessons and not wanting to risk returning to what was a dark decade for the pilot profession.